Small-scale safety testing of explosives, propellants and other energetic materials, is done to determine their sensitivity to various stimuli including friction, static spark, and impact. Testing is done to discover potential handling problems for either newly synthesized materials of unknown behavior, or materials that have been stored for long periods of time. Friction of explosives between hard surfaces is one of the most frequent causes of accidental explosions. Determination of friction sensitivity is a necessary part of characterization of explosives. 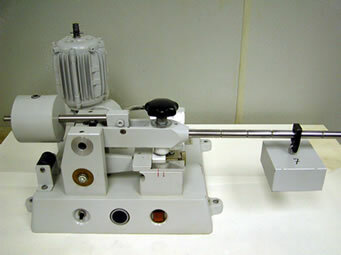 The “BAM” Small-Scale Friction Test, and the methods used to determine the friction sensitivity pertinent to handling energetic materials are routinely performed at the UTEC laboratory facility for specific clients and under ‘standard’ as well as ‘user-defined’ testing conditions and protocol. Want to learn more? Download the BAM Friction Device brochure and contact us today.